I got the sewing machine out for some creative sewing. 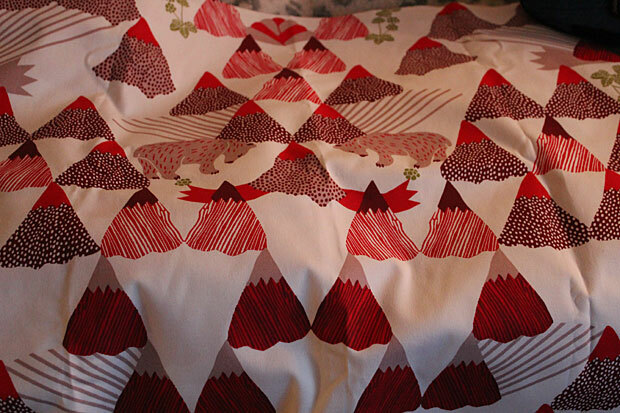 Making a xmas runner for the tv-unit from a cool scandinavian fabric called Skades Längtan by Arvidsson Textiles. I'm not at all confident with a sewing machine but it turned out alright. 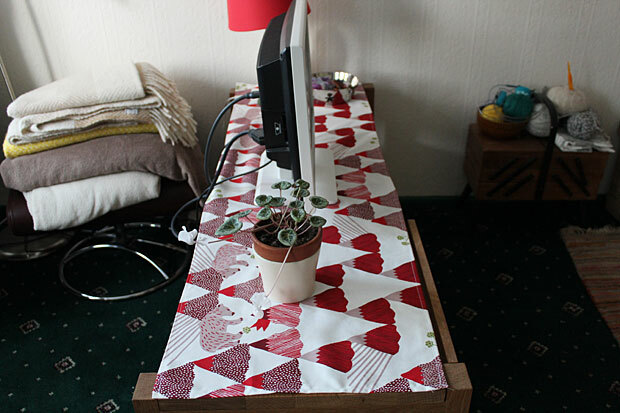 The only thing I had to do was sew in a straight line - which is quite hard. I have not been able to find out who the clever designer is. 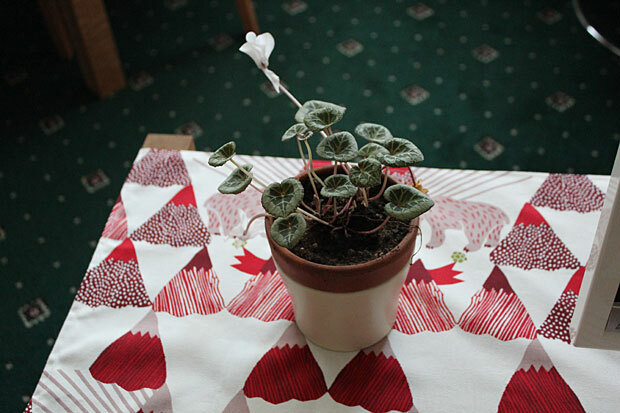 Arvidssons website is not the greatest but they do have some cool fabrics though.